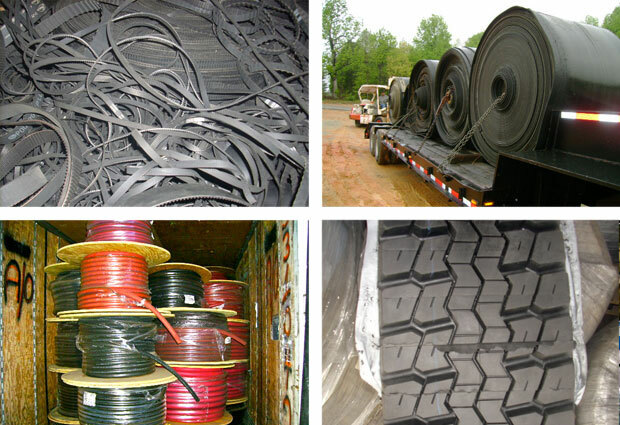 Rejected or obsolete finished goods such as conveyor belting, power transmission belting, hose, coated fabrics, printing blankets, tread stock and many other articles of rubber. Separator sheets and carrier films of paper or plastic can also be recycled after use by us. Sorry - we are currently unable to accept used or cured tires. Please contact your state or local environmental office.